With the release this week of President Obama’s long form birth certificate we can finally get back to the serious business of running the U.S. Government. The vast birther conspiracy has been put to rest and as the President concluded; “I’ve got more important things to do”. So after three years of charges, countercharges, lawsuits, countless investigations and numerous smear campaigns the incontrovertible evidence has been produced that Barack Obama was actually Born In The USA!. In the end, it took only five business days from the time the White House legal council requested the document from the State of Hawaii until the long form birth certificate was released to the public. Looks like a future President to me! Marcus Welby, everyone’s favorite primary care physician was the true signatory on the long form Birth Certificate for Barack Obama. Adding further to this mystery was that no one realized that he lived in Hawaii. If you take the time to research the issue, contrary to popular belief, you’ll find supporters of Hillary Clinton gave birth (no pun intended) to the Birther Movement. The Far Left members of PUMA (Party Unity My Donkey) started the rumors with emails from their headquarters at PUMAParty.com in the summer of 2008, prior to the Democratic National Convention, to discredit then candidate Obama. Hillary who coined the phrase “the vast right wing conspiracy” was certainly well suited for the task. Orly Taitz is a dentist, lawyer, former real estate agent, and leading figure in the “birther” movement, which challenges whether Barack Obama is a natural-born citizen eligible to serve as President of the United States. Goldman Sachs runs the United States Treasury. Baxter International has developed a bird flu vaccine that kills people. If only she could show experience as a plumber on her resume it would have made her the perfect All-American. Jerome Robert Corsi is an author, best-known for his two New York Times best selling books:The Obama Nation and Unfit for Command (with co-author John O’Neill). Both books, the former written in 2008 and the latter in 2004, attacked Democratic presidential candidates and were strongly criticized for including numerous factual errors. 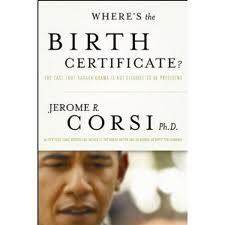 Upon release of Obama’s birth long form birth certificate Corsi stated; “Two weeks before the publication of my book “Where’s the Birth Certificate?” the effort to document Obama’s past has begun in earnest”. On April 29th after weeks of suggesting Barack Obama was born in Africa, Donald Trump hastened to boast that he had forced the Democratic president to release a detailed Hawaii birth certificate disproving that claim. “Today I am very proud of myself because I have accomplished something that nobody else has been able to accomplish,” Trump told reporters. 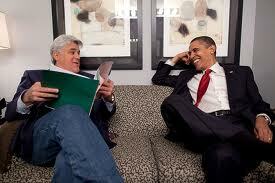 Now I guess we move on to the President’s College Transcripts and following that, his Kindergarten records. So where were you born Mr President? Rumor has it that Orly Taitz knows where the placenta is being stored. 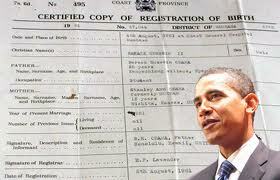 A commentator at Canada Free Press claims to have possession of two different versions of the document democrats used to register Barack Obama as their Presidential candidate. The first version has language certifying Barack Obama and Joe Biden are “legally qualified to serve under the provisions of the United States Constitution.” The second document, which the DNC actually used, has this language removed. Both documents appear to be signed by Nancy Pelosi and notarized on the same day. Hmmmmm. Nancy you devil. 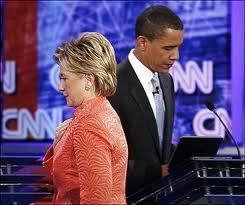 You knew you were next in line for the Presidency. I wonder if he read my letter? Had the President released the entire record of his birth (long and short forms) when initially questioned there never would have been a controversy in the first place. Instead he prolonged it intentionally to get the maximum political mileage out of it knowing that the media will not focus on how easy it would have been to produce the birth certificate three years ago, or on how much time and money has been wasted by his gamesmanship; they’ll instead portray him as beleaguered and the people who have been seeking the basic information as discredited whackos. President Obama stated on Wednesday “We don’t have time for this kind of silliness” and “I’ve got better stuff to do.” And with that he hopped on Air Force One and flew to Chicago to appear on The Oprah Show. 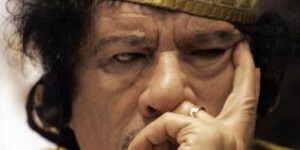 This entry was posted on April 29, 2011 at 6:31 pm. You can follow any responses to this entry through the RSS 2.0 feed. Both comments and pings are currently closed.